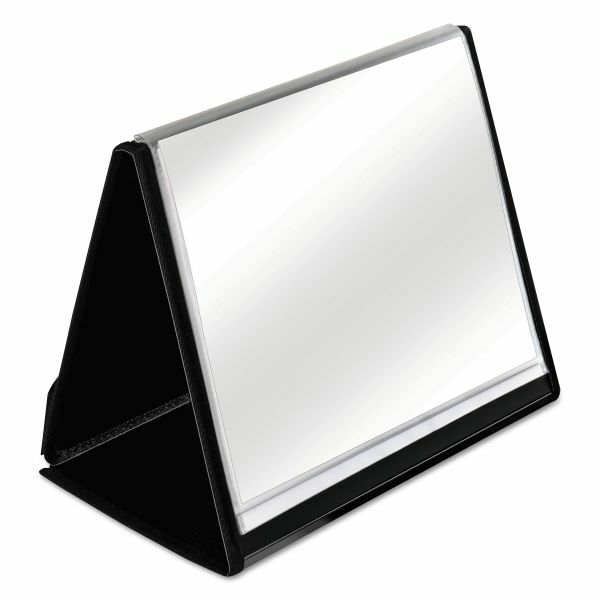 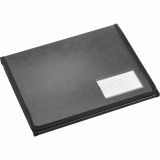 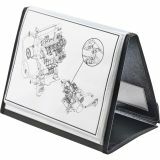 Cardinal ShowFile Horizontal Display Easel, 20 Letter-Size Sleeves, Black - Slim, lightweight display book is ideal for presentations in the office or on the road. 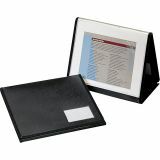 ShowFile stands in a horizontal format and includes 20 clear poly pockets for 40 letter-size display pages. 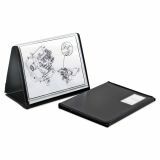 Hook-and-loop strips hold the book open in an open, standing position or closed for storage or transport. 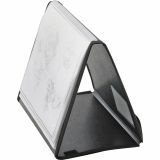 Acid-free, transfer-safe poly pocket material will not lift print from pages or damage photographs. 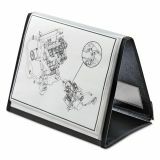 Display book also features a black poly cover with clear pocket for a business card or labeling.